From Jack Czarnecki’s Joel Palmer House in Dayton, Oregon, this Black Truffle Oil is made from Oregon Black Truffles (Leucangium carthusianum). 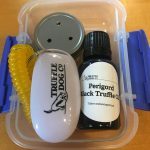 Oregon black truffle oil can at first come across in the nose as excessively pungent, earthy and organic. Upon aeration aromas of chocolate, coconut, and pineapple begin to show themselves along with their earthy undertones. Please note that Oregon Black Truffle Oil, on first whiff, may not be pleasant to all (and some may smell nothing! 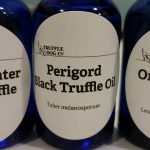 ), but it is formulated to taste amazing, and like a fine wine, with a little aeration and addition to food it will showcase the complex aromas of our native black Oregon truffles. 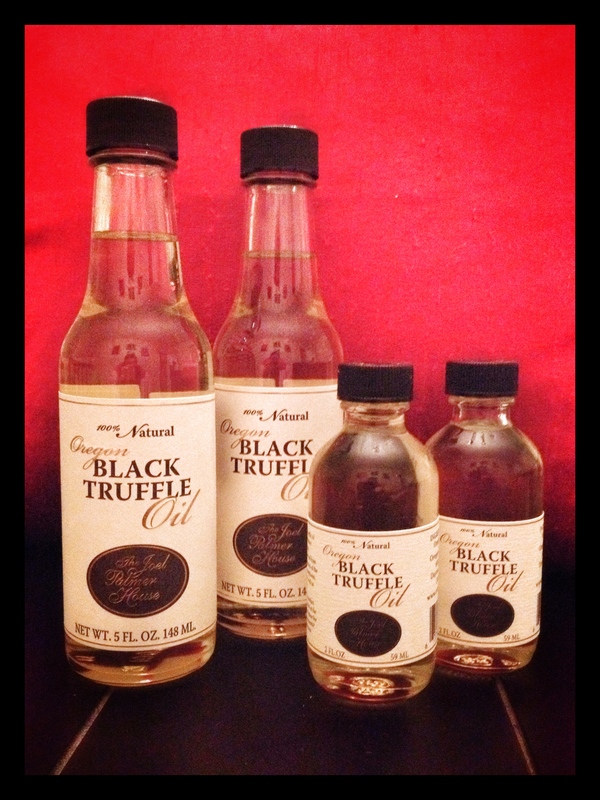 Please store your Joel Palmer House Oregon Black Truffle Oil out of direct sunlight or extreme heat. Ideally refrigerated after opening. If refrigerated, your oil may solidify but will return to liquid at room temperature quickly.